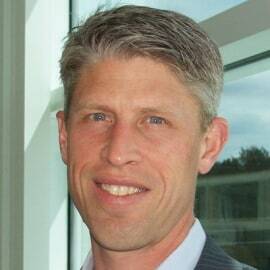 Darren has been with The Boeing Company since 2005, and serves as Managing Director of Market Analysis & Sales Support. In his current role he leads Boeing’s marketing activities positioning & supporting the sale of Boeing Commercial Airplanes to airlines & lessors globally. His team also produces the annual Commercial Market Outlook – Boeing’s 20-year forecast for air traffic and aircraft demand – as well as maintaining near-term analysis of the market and business environment to evaluate production rate demands and future product development opportunities. Prior to this, Darren was the Managing Director of China & Northeast Asia Marketing, focusing on engagement with airlines, lessors, industry stakeholders and media in the region. Earlier roles included Market Analysis, Sales Strategy, Southeast Asia Marketing and Airline Network & Fleet Analysis. Prior to joining Boeing, Darren spent 8 years at Delta Air Lines, in various management roles throughout Network & Schedule Planning and Revenue Management. Darren is a graduate of Valparaiso University with degrees in Economics and Geography and resides in the Seattle area with his wife and two daughters.